It’s a cliché at this point for bands to try to rediscover their roots or pay homage to their hometown. However, Fall Out Boy’s Lake Effect Kid EP is one of the few that feels genuine. Brief as it may be, these three songs not only form a love letter to Chicago, they offer a brief history of the band’s evolving sound. What could have easily been a quick gimmick is actually a near essential piece that quickly and unapologetically shows Fall Out Boy paying attention to their own legacy. You can buy or stream Lake Effect Kid on Apple Music. “Lake Effect Kid” is a B-Side that has made the rounds online for quite some time. Without a proper release or context, it could be easy to overlook. I have often enjoyed the song, but understood why it had been cut from Infinity On High or Folie à Deux. However, this new mix sounds more refined and complete. Additionally, when paired with “City in a Garden”, the song takes on more body, context, and heart. “City in a Garden”, though it may be a Chicago-centric love fest, is arguably Fall Out Boy’s most accessible and singable single since “Thnks fr th Mmrs”. Oozing with nostalgia, hooks, and dreamlike drumbeats, “City in a Garden” is for Chicago what Jason Mraz and the Red Hot Chili Peppers are for California. While it sonically sounds like a ballad off an older release, the synth and beat are distinctly part of FOB’s new era. “City in a Garden” manages to encapsulate almost every aspect of Fall Out Boy that could make a person fall in love with the band. Lake Effect Kid’s biggest strength is how reflective it is, while still pushing ahead for the band. “Lake Effect Kid” is the pop punk older fans have been craving for years. “City in a Garden” is the kind of pop song the band couldn’t have written even a couple of years ago without the experience they have now. Meanwhile, closing track “Super Fade” moves forward with experimentation in a place that won’t ruin the flow of a full album. Borrowing heavily from the divisive single, “Young and Menace”, “Super Fade” sounds like a slip-up of a song. However, this EP is the ideal place to work out the kinks of this style of songwriting. Lake Effect Kid not only pays homage to Chicago as the band’s stomping grounds, it pays homage to their past work. The EP is an answer for anyone who has claimed that the band sold out their sound over the last few albums. Equally as exciting, it shows Fall Out Boy’s willingness to look back on themselves with the same reverence and enthusiasm they’ve shown when looking forward. 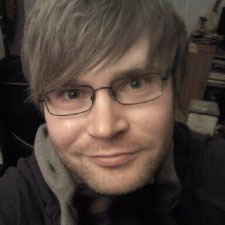 Kyle Schultz is the Senior Editor at It’s All Dead and has worked as a gaming journalist at Structure Gaming. He lives in Chicago and makes a gosh darn good apple pie.